It dawned on me that I haven’t actually dedicated a whole post to soft furnishings, and so I felt compelled to put that right today. Soft furnishings are so important in adding texture, pattern, colour and interest to our spaces. They also provide us with a feel-good factor and comfort. I also believe that if we can, we should look to ethical brands and I happened across one on my recent visit to Clerkenwell, Maud Interiors. We all lead busy lives, don’t we? Whether you’re a stay at home mum/dad to a high-flying entrepreneur, we fill and live our lives to the full. So sometimes, its good for us to stop and think. That is what Maud Interiors made me do. Why I hear you ask? It’s down to how we shop. It’s all too easy to click and buy or find the latest bargain in town. What we don’t do is stop and think about where and who makes the stuff we buy or how these people are treated and conditions they work in. We should because they are people just like you and me and we should care. 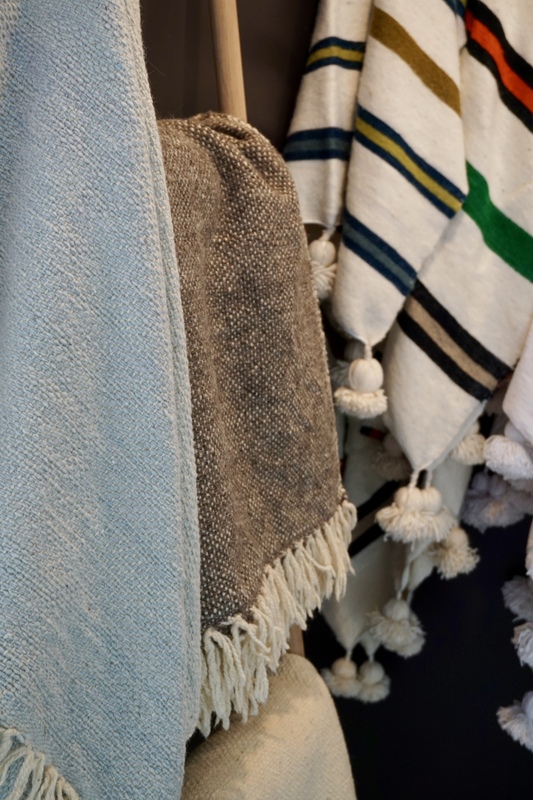 After chatting with Maud Interiors, and swooning over their display of amazing throws, and cushions at Clerkenwell, I’ve since ended up spending a lot of time savouring their beautiful collections online. They have a lot more to offer than soft furnishings, but we’re not stopping there today. If you’re one of my many international readers, you’ll be pleased to know that they ship to Europe as well as USA, Canada and Australia. 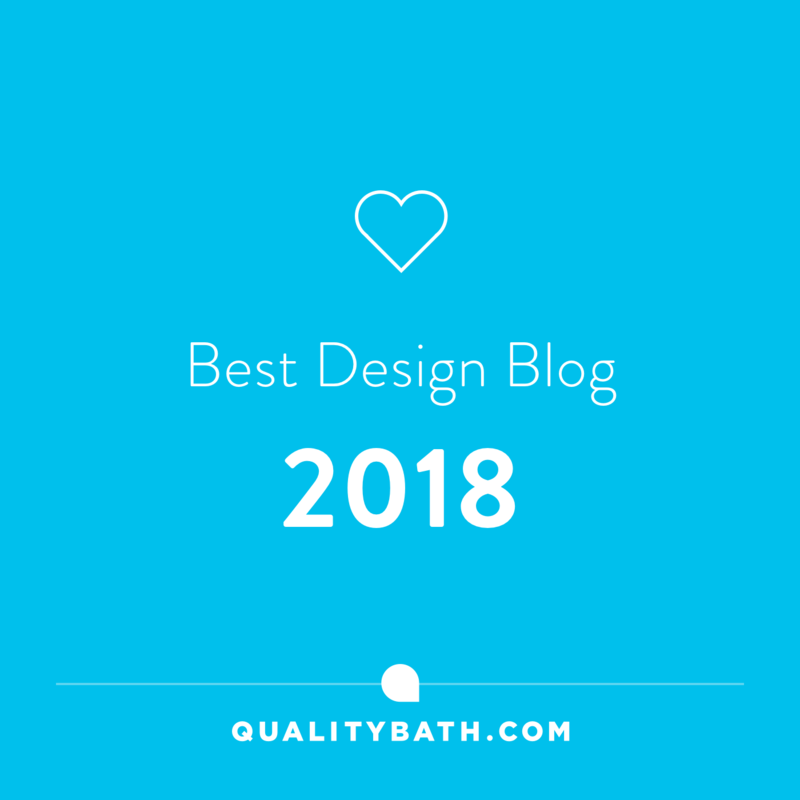 But before I show you a snippet of their beautiful offerings, I thought you might like to know a little about this fab company because they’re not just another company selling mass-produced wares that have the tendency to fall apart after one wash. Nope, Maud Interiors are a company with a big heart and a conscience. 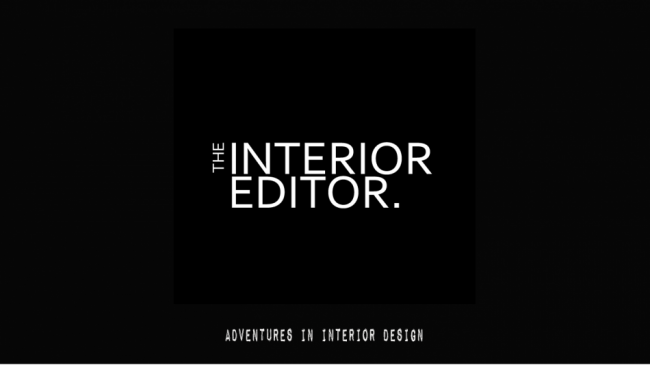 If you’ve not come across Maud Interiors before, it’s probably because they’re relatively new. Founded in 2013, by Nicola Paisey, this ethical online interiors boutique offers handcrafted products from around the world. I have to say what I love most is how they embrace different cultures, traditions and skills. 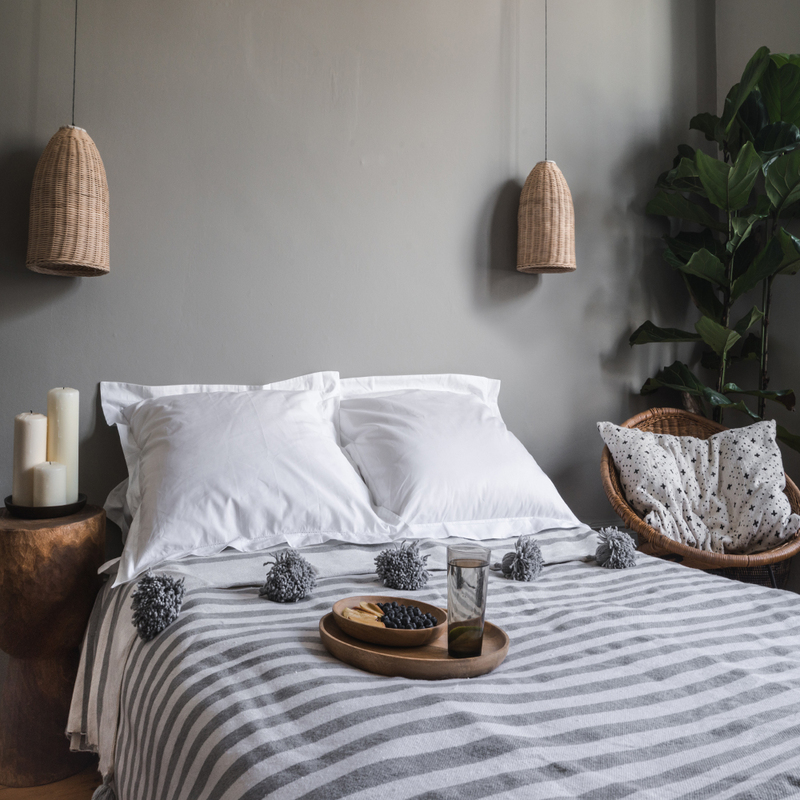 Oh, and if you’re a trend follower, then Maud Interiors have an abundance of soft furnishings from to suit most homes from contemporary to boho. 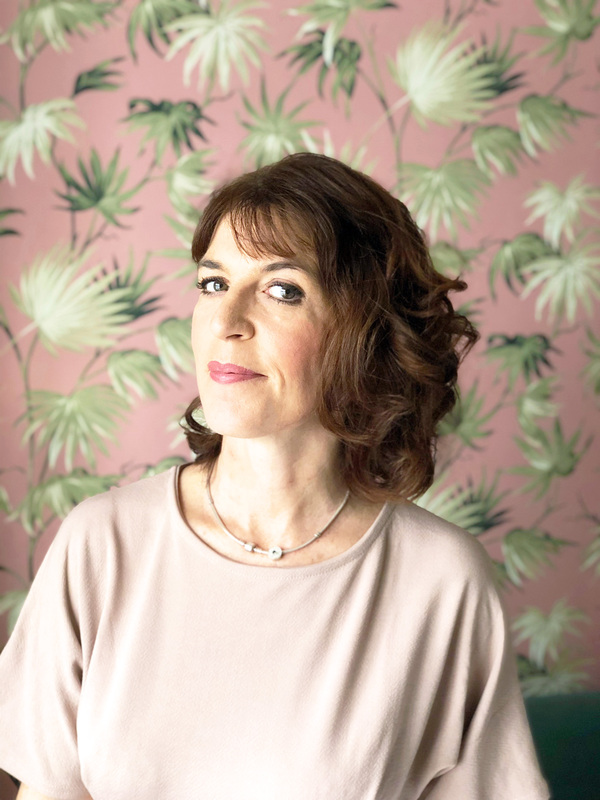 Nicola and her team have developed relationships with individual artisans, and social enterprises ensuring sustainable livelihoods, health and wellbeing for these talented people. In other words, there ain’t no mass-produced sweatshop goods on offer here. In fact, it’s quite the opposite. Long lasting, and quality abound! Maud Interiors have an ethical policy behind their collections. Travelling worldwide to source quality goods whilst ensuring traditional practices are kept alive and the craftsmen are looked after. 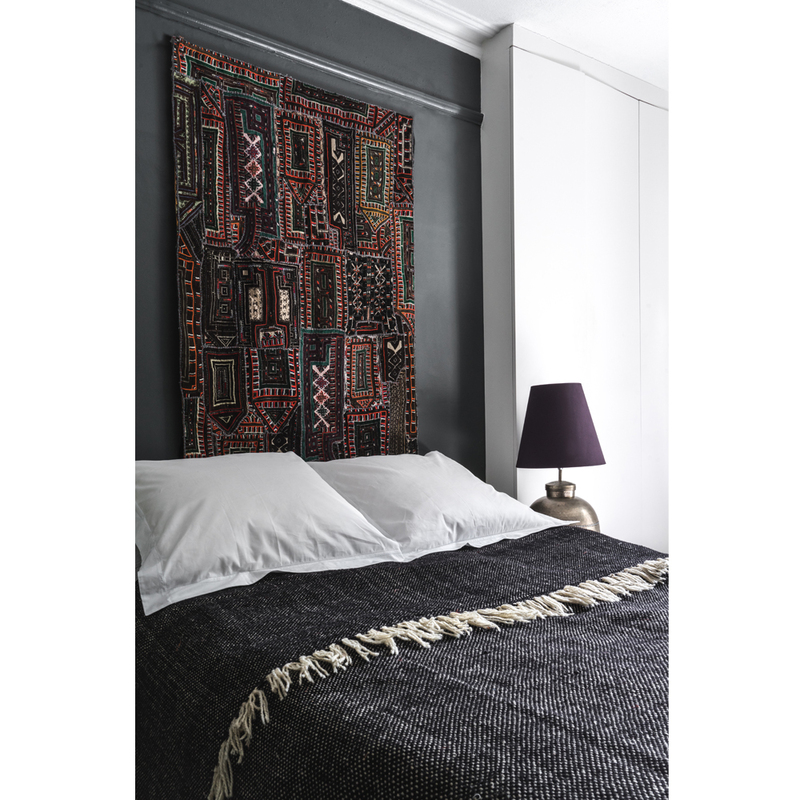 For example, Maud Interiors have teamed up with a family of three generation weavers in Morocco to working with Mayan weavers in Mexico. They also shop souks, markets and bazaars to bring some unique vintage finds too so be sure to look out for something that offers some individuality to your homes. 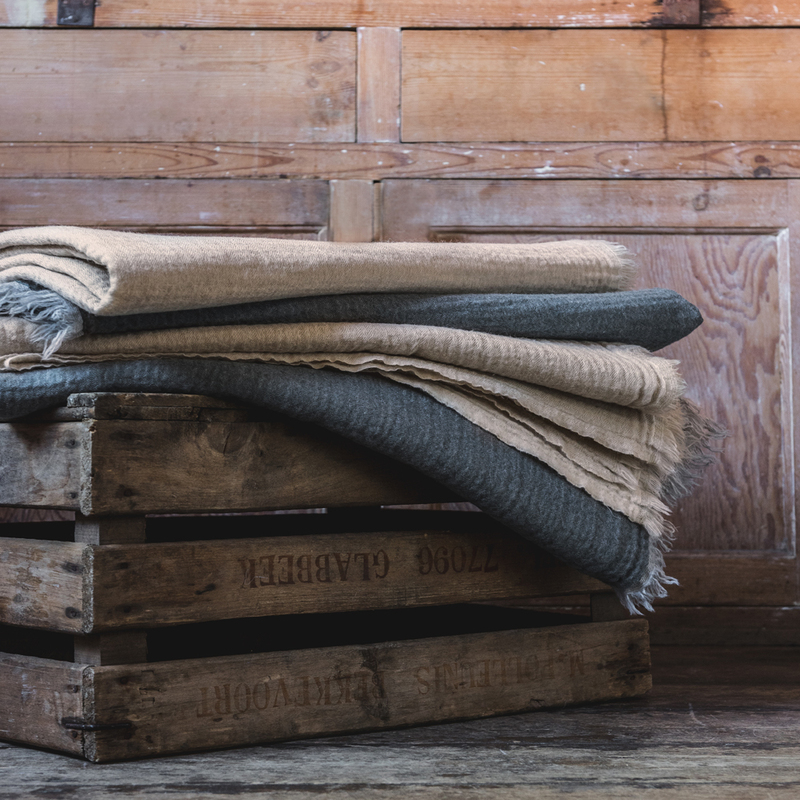 This super soft merino wool blanket with its waffle-like texture is bang on trend with its subtle palette of slate and pale grey. Woven in India from 100% soft merino wool, its lightweight which is perfect for the hot summer days ahead of us when we need something lighter for the evenings. This is one of Maud Interiors newest blankets/throws. Made from 100% pure wool it’s available in charcoal and natural. You have to admire the skill involved as these are hand-woven on a traditional wooden loom in Morocco using techniques handed down from father to son over generations. They’ve been given a contemporary twist with a tactile fringed finish in natural wool at the head and the foot. Great for the layered effect on a bed or throw over a sofa or chair for a quick update to your living spaces. I’m excited to say cushions in the same combination will be available to their website soon. I love the history behind this unique piece. 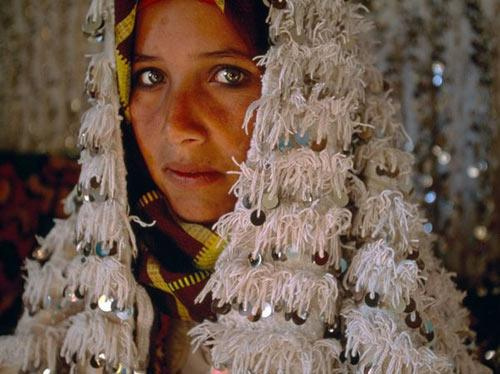 It’s a traditional Moroccan wedding blanket hand-woven by Berber women for a bride to wear as a cape on her wedding day. Made as a one of a kind, its geometric patterns of sequins, interspersed with lines of fringing, create great textural contrast whilst adding a little glamour and sparkle. You could even admire this hung above your bed as a great focal point to your bedroom spaces. 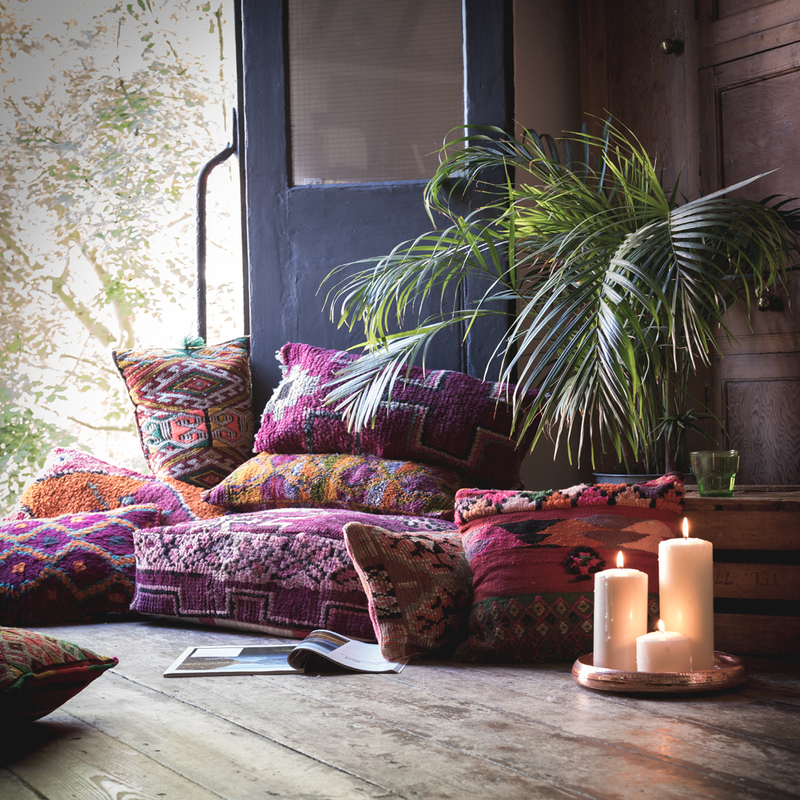 For those of you that like to create a relaxed boho feel to your homes with a splash of colour, Maud Interiors have sourced some fab Kilim pouffes. Great indoors but also perfect for taking outside during the summer months and enjoying a drink or two with friends and relaxing in style. Made from vibrant hand-woven Kilim rugs each one is shipped empty for you to fill with cushion pads, or why not recycle some old blankets and use those instead. I’m forewarning you now though as there are only four of these pouffes available from this particular Kilim at the time of writing so you might want to get in quick if these are for you! 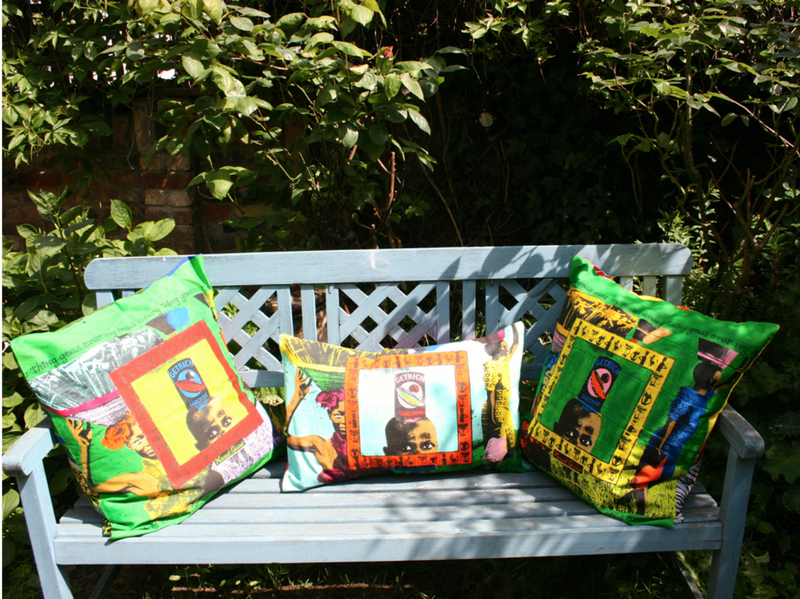 “What you cannot carry on your head you can most probably live without.” These unique neon hand silk screened and hand painted African cushions suitably depict this African saying. They certainly would inject funky splashes of colour to your homes with each design being unique. You could even mix and match styles and colours to suit. There’s a wonderfully touching story behind these eye-catching designs over on Maud Interiors blog. I’ve copied the direct link here so you can enjoy it too. Remember it’s all about the people so go check it out. A truly exotic cushion. I love the mix of modern and traditional fabrics, and ribbon creating interest and textural contrasts. The vivid lime green silk-screened henna patterns contrast beautifully with the face of a Berber woman. 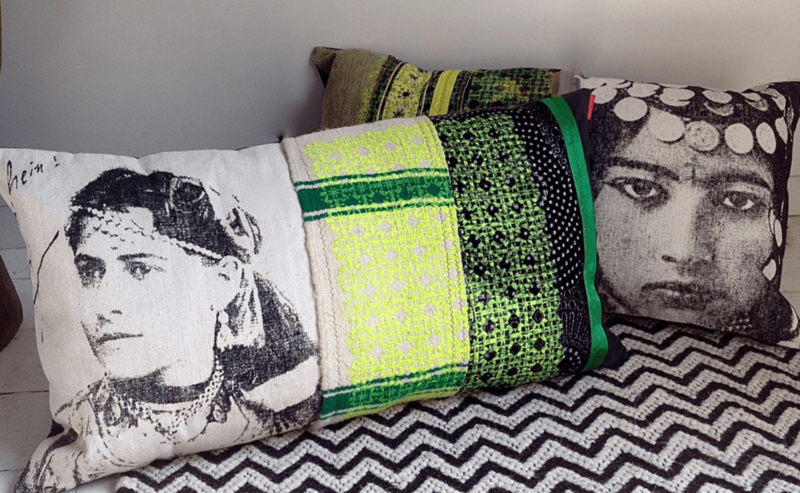 These cushions are designed in Marrakech by designer Sylvie Pissard and her team of seamstresses. A great focal cushion to add to your collection because we can never have too many cushions now, can we! There are more wonderful soft furnishings and homewares over at Maud Interiors website here. Hopefully, I have tempted you to have a look. They also have a brilliant blog where they document their travels and the good that they do. On a final note, I would like to mention that Maud Interiors have a huge heart in that they care not just about you the customer, but for the countries and the people they meet. Maud Interiors supports ChildHope a children’s charity based in the UK which works with local partners in Africa, Asia and South America supporting street and working children. You can read more about their quest here.